They can just be soooo expensive, but when it is avocado season and they are reasonably priced, my go-to party pleasing recipe is guacamole! PRO tip: Avocados are considered a super food because they are packed full of Vitamin C, Vitamin E, Vitamin K, Vitamin B-6, Potassium, and Omega 3 Fatty Acids. They are considered a healthy fat, which is much better than the saturated fat found in most processed foods. 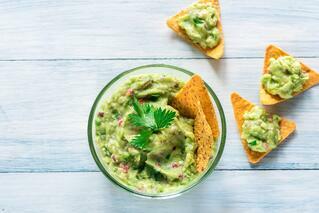 Seriously, homemade guacamole is simple to make, packed full of nutrients, and so fresh and delicious that when you try it, you’ll feel like you deserve to have your own cooking show! 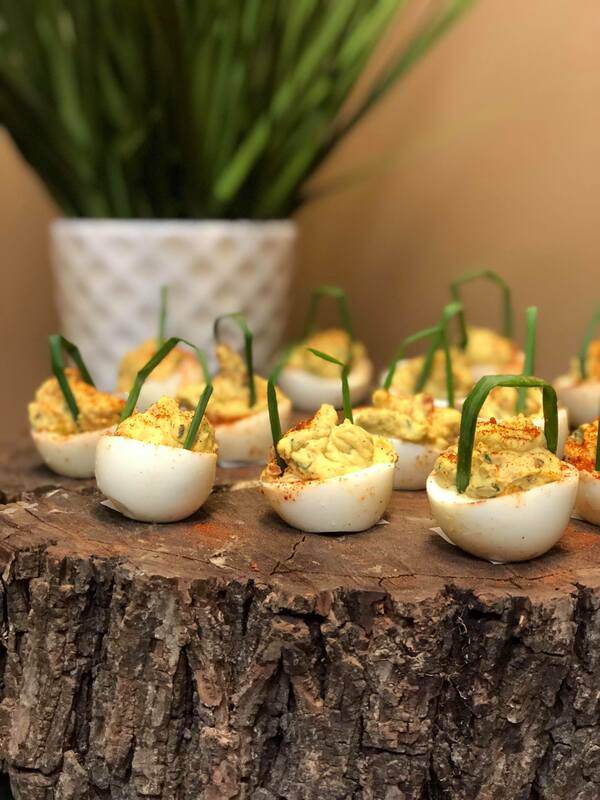 Plus guacamole goes with almost everything from your dinner party with close friends to a neighborhood BBQ to even watching TV alone in your PJs on a Friday night! Anyway, on to the smashing of the ‘cados! First, take your ripe avocados (they are ripe if they are still a little firm but give when pressed with your thumb) and cut them in half, length wise! Be VERY careful when removing the pit, we don’t want to end up getting stitches. Tap the pit with the knife until the knife sticks, and then twist the avocado until the pit comes out. Then scoop all that green goodness into a large bowl. Now let’s prepare all of our goodies! Chop a large onion (red or white), spices (chili powder, fresh minced garlic, salt and Mexican oregano – regular is fine if you don’t have Mexican), and fresh zested and squeezed limes. PRO TIP: When zesting and juicing your fresh limes, if you don’t have a zester, you can use the small end of a cheese grater, and it will do the same! 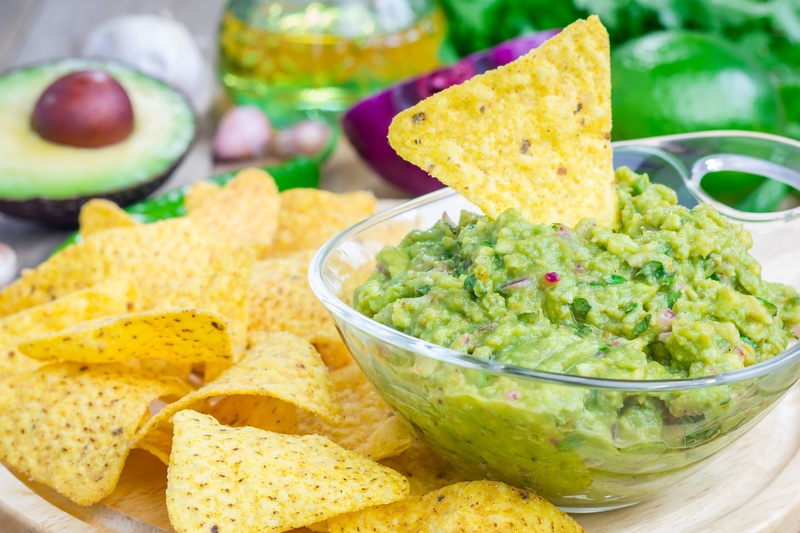 To add some flavor and really turn the basic guacamole into some HOLY GUACAMOLE *pause for laughter* …..try adding something fun and different. I like sun-dried tomatoes because they are robust, sun-kissed beauties that are packed with antioxidants good for heart health and reduce inflammation in your blood cells. Some other things you could add are: cilantro, bacon, jalapeno for you spicy folks out there, feta cheese, mango, or whatever your heart desires! Now, grab all the ingredients and throw them into the mixing bowl with the avocados. That’s right, all of it! Grab either a masher or a big fork and start smashing. Really smash and mix it all together, take out any anger you have…it’s okay, we won’t tell. PRO TIP: If you like your guacamole super creamy, mix in a scoop of non-fat greek yogurt. This gives it a tangy flavor, is packed with protein, and has much less fat than sour cream! Once it’s all mixed together, it’s time for the moment you’ve been waiting for – the taste test! Serve your guacamole with chips, fresh cut veggies, with eggs, on top of tacos, or however you like! That’s it…I told you it’s so easy! Now get out there and start smashing! Cut avocados in half-length wise and very carefully remove the pit. Scoop out the avocados into a large mixing bowl, and add all other ingredients. Smash and mix until well combined. Serve however you’d like!